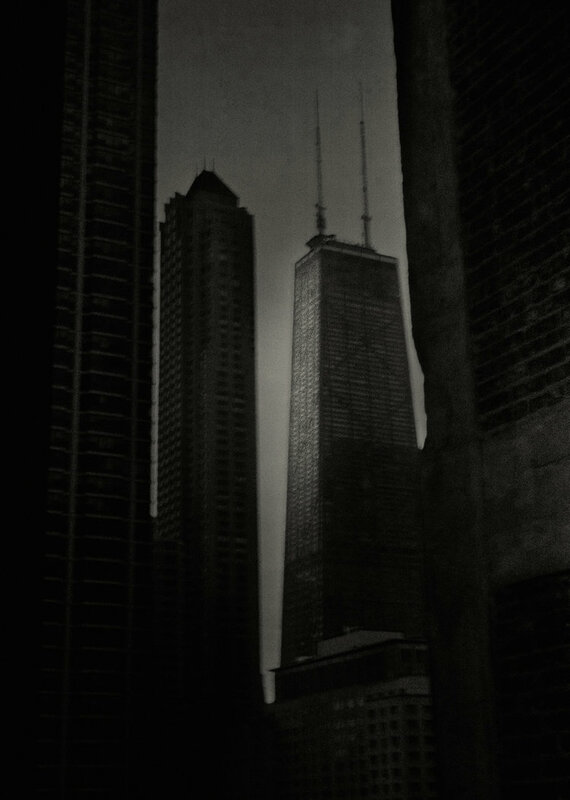 JR: This photo was shot in Chicago, in 2005, through my hotel room window, looking at the John Hancock Tower. It was late afternoon, while I was preparing my exhibition about Patagonia. That exhabition was held in that building. HO: Can you specify any technical aspects about the photograph? JR: It was shot with a Leica M6 and the negative was scanned. The final copy was done with japanese rice paper and printed with mineral ink. JR: It's part of an exhibition called "Beyond Black" about my own way of looking at architecture. It's part of a bigger discourse. HO: Was there anything you wanted to communicate through it? JR: Nothing in particular. But maybe just to say that the texts for the "Beyond Black" book are written by Portuguese friends like Pedro Cabrita Reis and Eduardo Souto de Moura.